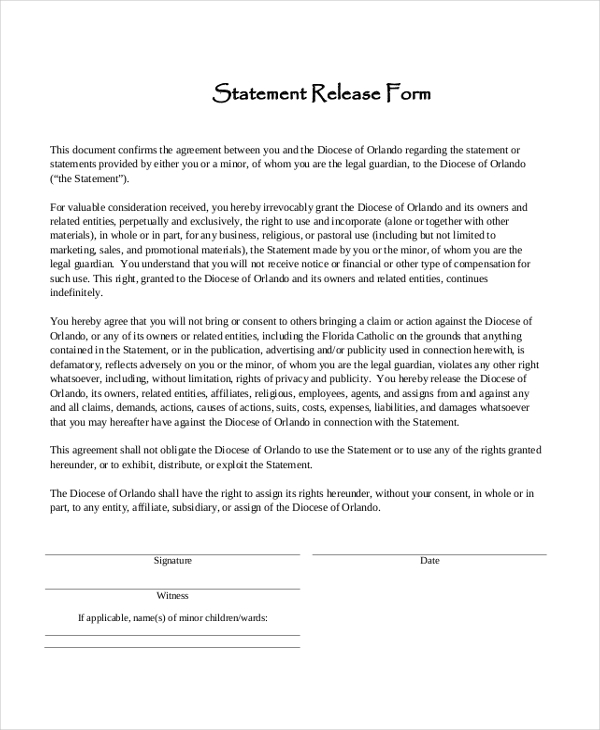 Whenever you make a declaration in an official way, it is usually through a statement form. Well, it might not be authorized by a representative of a law initially like in the case of an affidavit form where you make the voluntary declaration of fact, but you still have to sign the form. 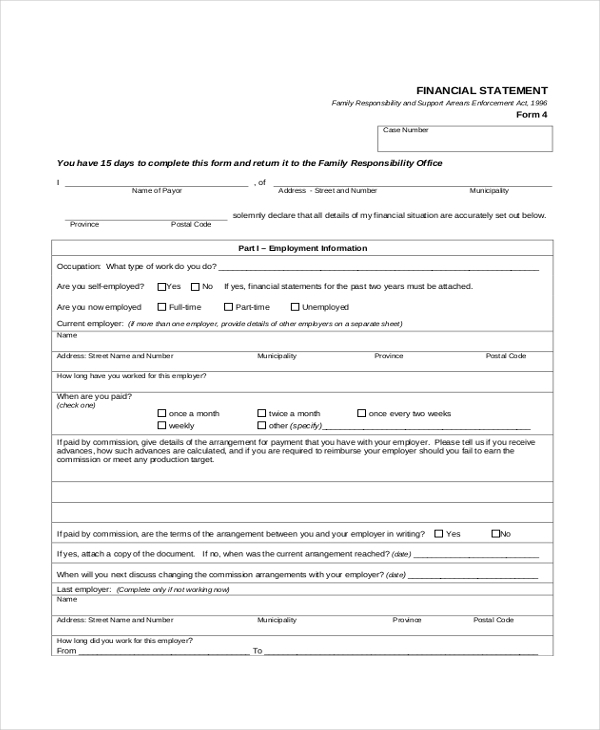 Usually, you must have filled in a financial statement form wherein you declared all your income that usually goes forward to the government for tax purposes. Or a simpler form that goes for scholarships and rebates depending upon the income. But there are much more examples of statement forms and here are some templates and examples of such varied range of statement forms. Have a look at them here. Here is an example of billing statement wherein you provide the details of your billing address. This particular one is on the order of a university for the semester resources. Check out the layout here. 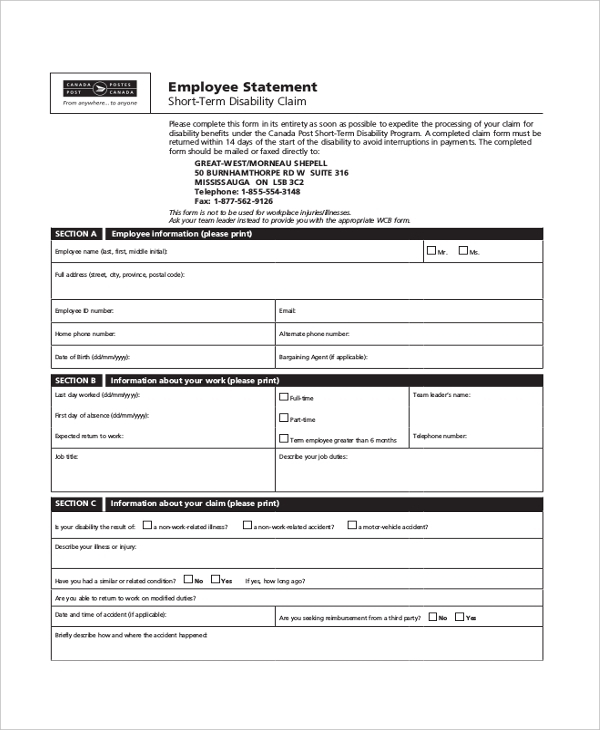 Here is an employee statement form that can be used by the companies for their employees and their records in some formal manner under the supervision of authorized personnel. The example of records, in this case, is the employee performance. 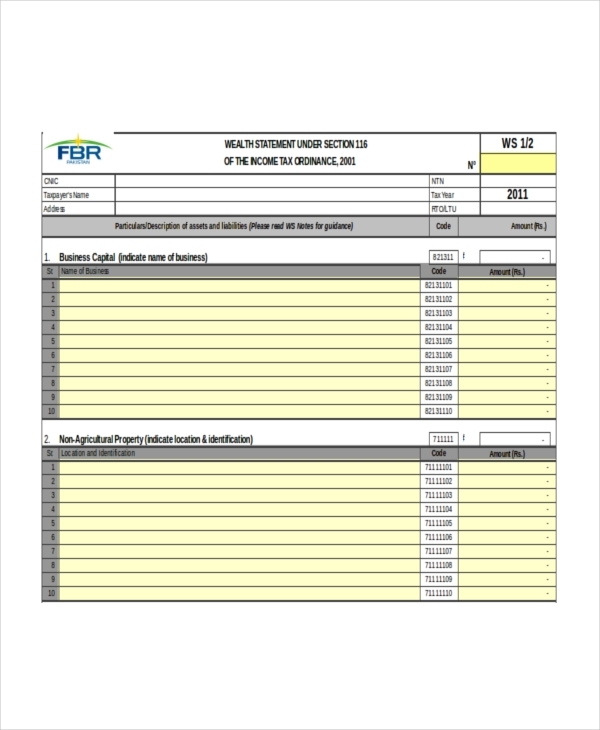 This is an example of a disclosure form where you disclose the details about your financial records with a certain organization or it can be modified to have multiple records in one place. The reasons about who must file it are clearly written in this pdf statement form. 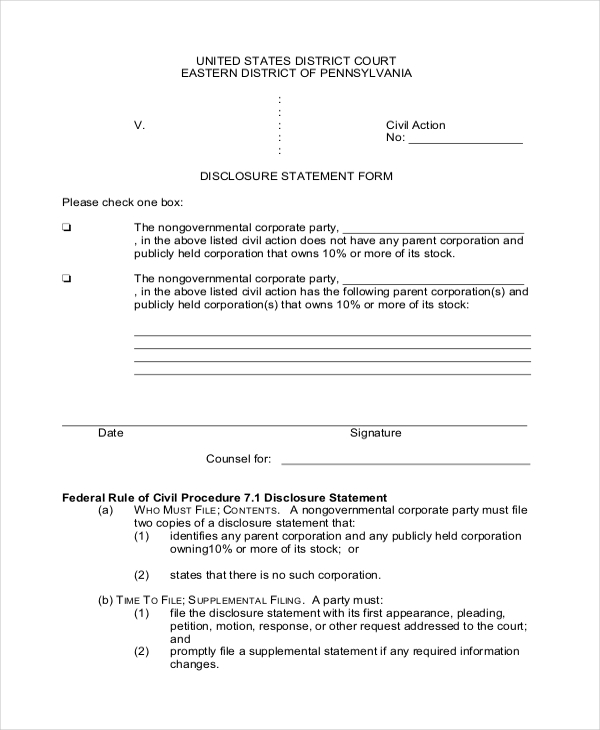 Here is a statement form that has a section for you to put in your claims as well. Apart from that, it also contains basic information of the employee along with insurance details that are enclosed in a statement form for the company. Like mentioned before, you are supposed to declare your income and other financial records that are usually used for tax calculations and other monetary related records that are supposed to be more official than just words and numbers. 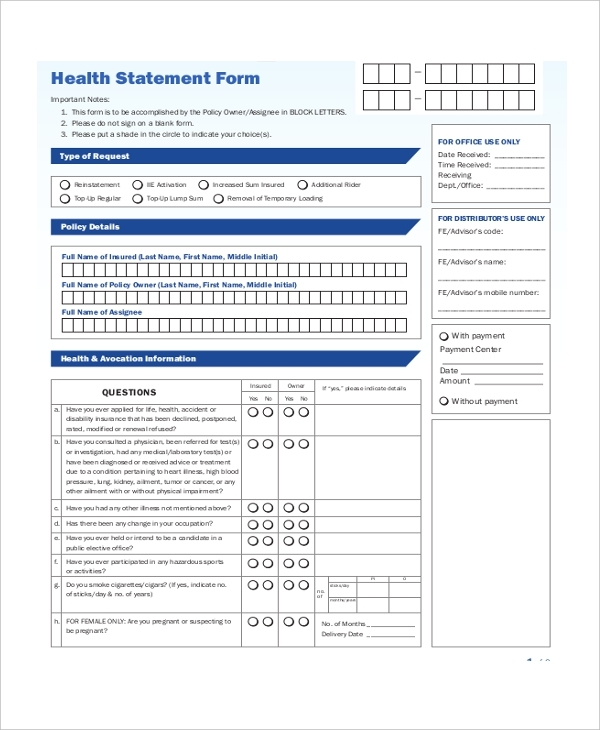 Usually, this is a form every institute makes their member fill in to provide the basic details about their health and in case they have certain medical requirements or something that must be informed about and can be tracked through the useful information provided in the form by the member. In case parents are declaring their income for their kids’ scholarship, then they can do that in an income statement form. 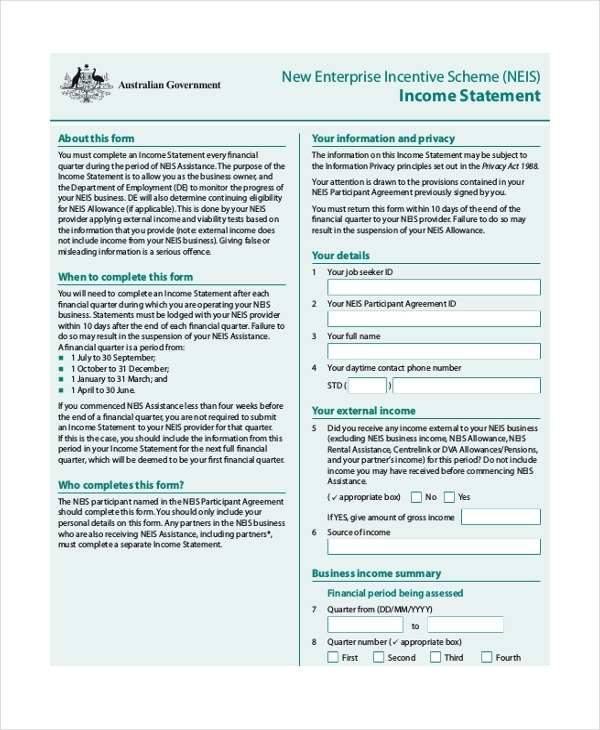 The one in this example can also be used in a similar way with the details about the income in the form, along with a letter of reason about the statement form. 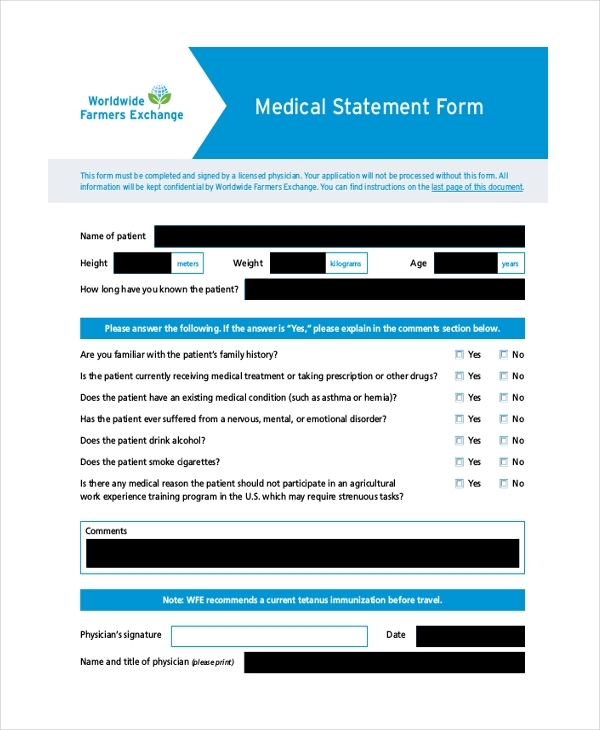 Here is an example of another medical statement form that just has the basic questions for the person to fill in that and can be used as a record for later purposes wherein all the forms are to be gone through to come up with the certain division. Here is a statement form for a trader who is constantly selling and buying different stocks and has a certain profit attached to one while a loss with another. 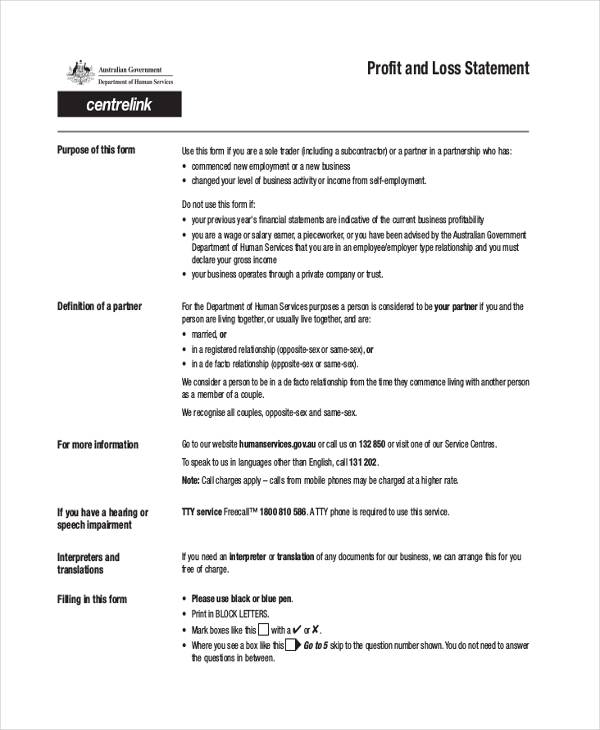 So it is important to track all the information that can be done easily through this profit and loss statement form example. 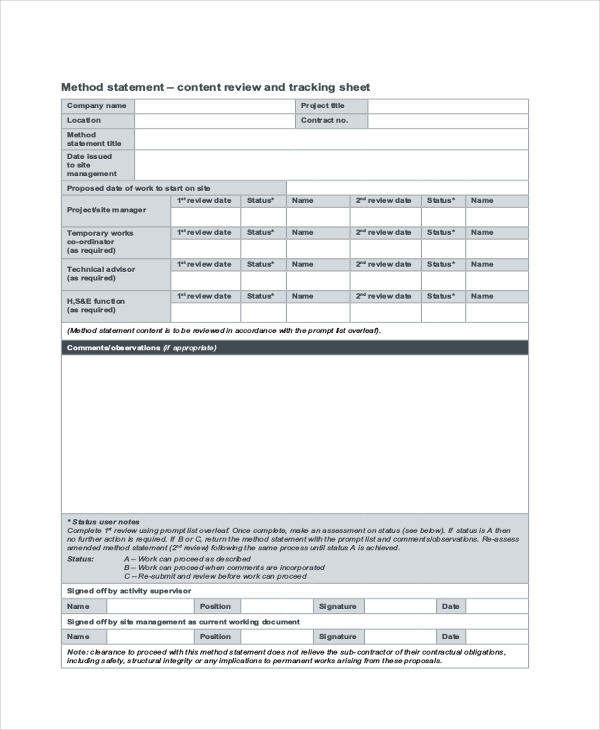 This statement form is for any businessperson who owns a property specifically used for the business along with other details about the equipment and other information about the costs of it that goes into the statement form. 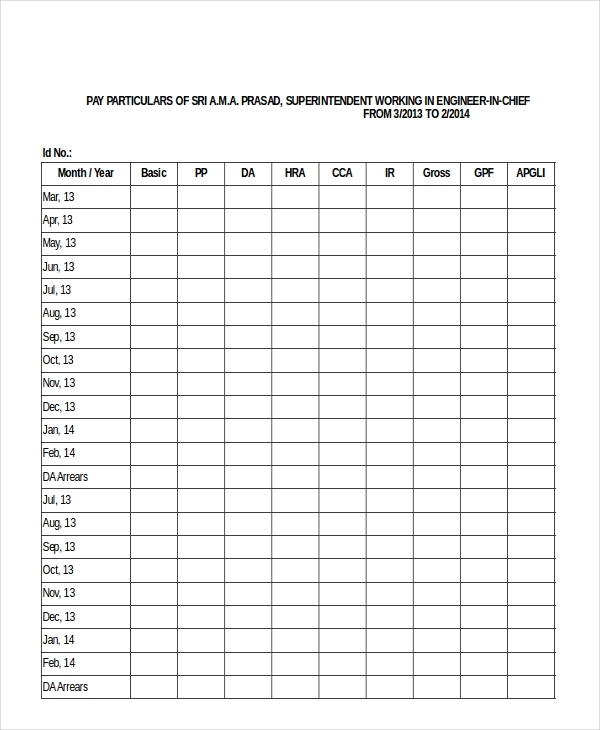 You can download the pdf copy of this form from the given link. Every employee gets house rent allowance that even provides a tax rebate to the employee. 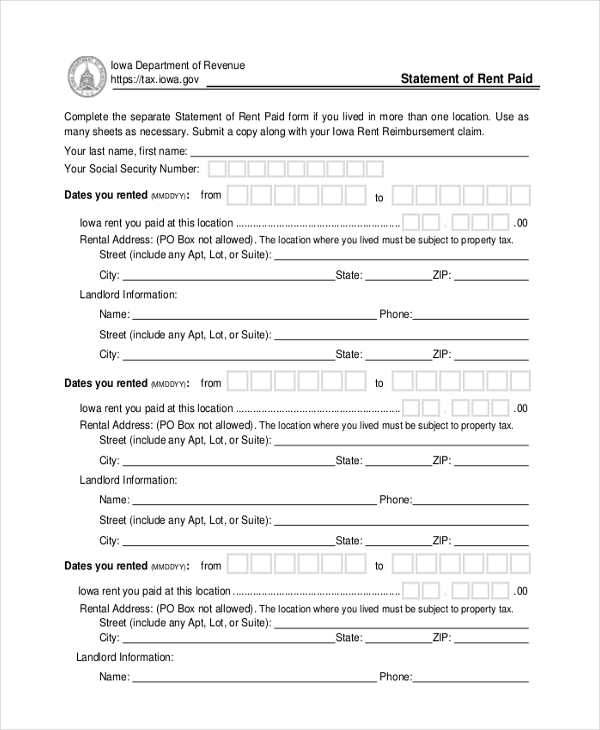 But before any of that is processed, you need to fill out your rent statement form declaring how much rent is being paid along with the details of the property owner who is making money on the property which has to be matched with his or her income statement form. Sometimes the statement form doesn’t have a predefined cause to it. It can be left blank as in this case and the filler can fill in the sworn statement on his or herself. And followed by that, you can sign it to make it formal and hand it over to the required authority. 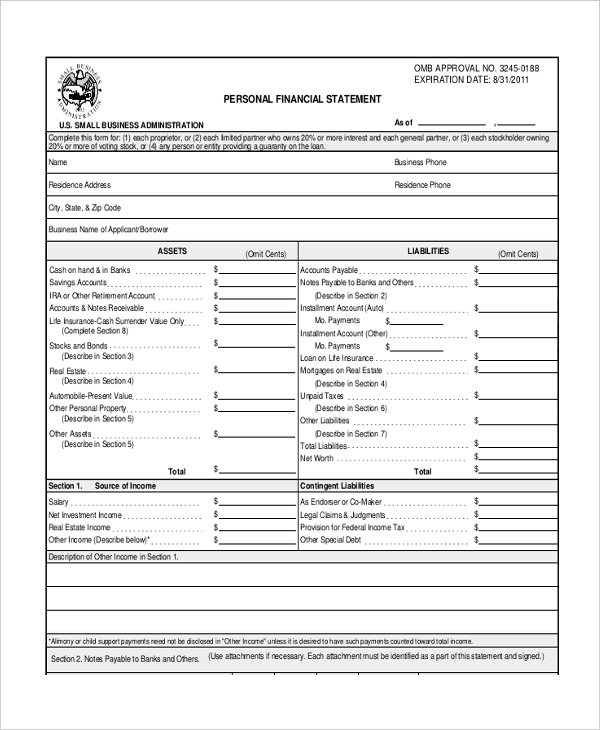 This form is not very different from the income statement form. But this form usually goes to the government to match your income details according to government logs and is matched against your declarations that usually go as income tax returns that you have to file at the end of every financial year. 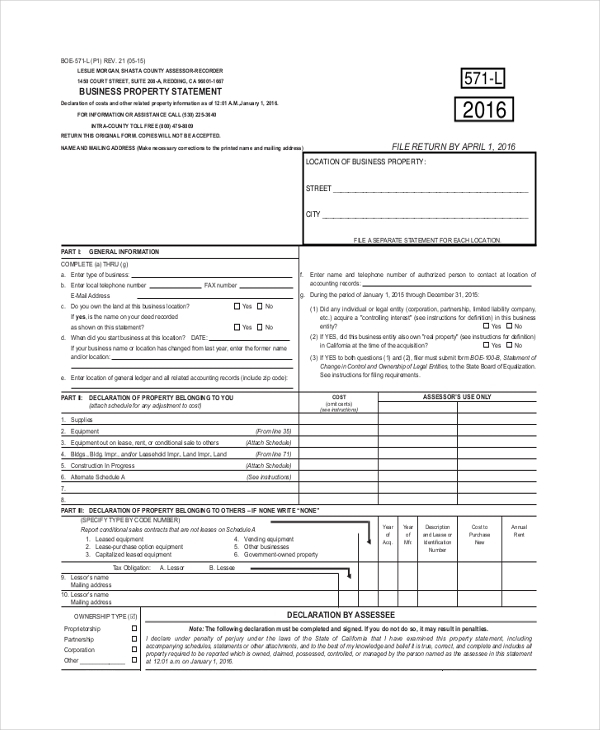 This too is not so different from the property statement form that you saw earlier. But here you car and minor other details can also be put in. 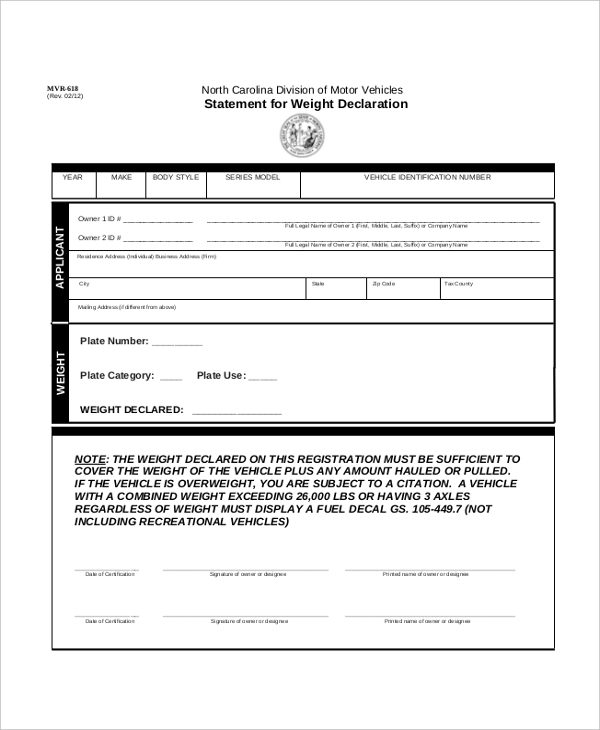 This declaration form is for the information regarding the automobile you drive. 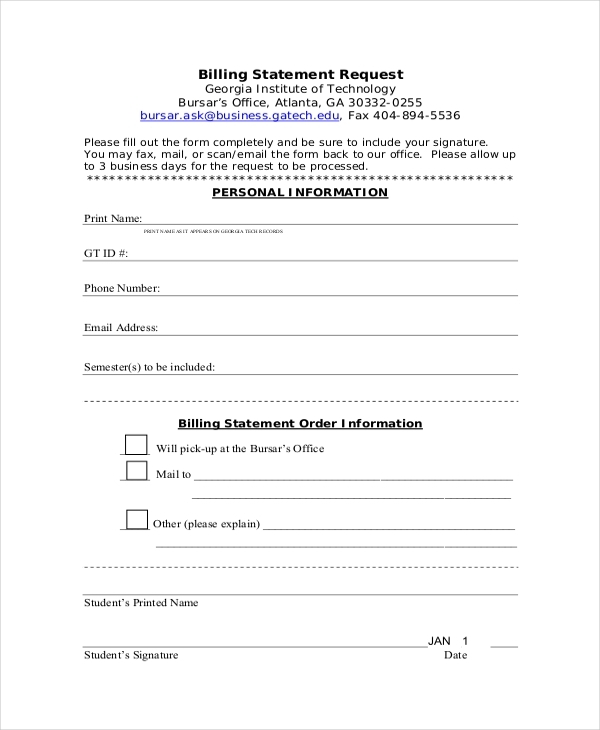 This is an example form for the North Carolina division. Every region has their specific statement form for this, and usually, it can be made available to you in their office. 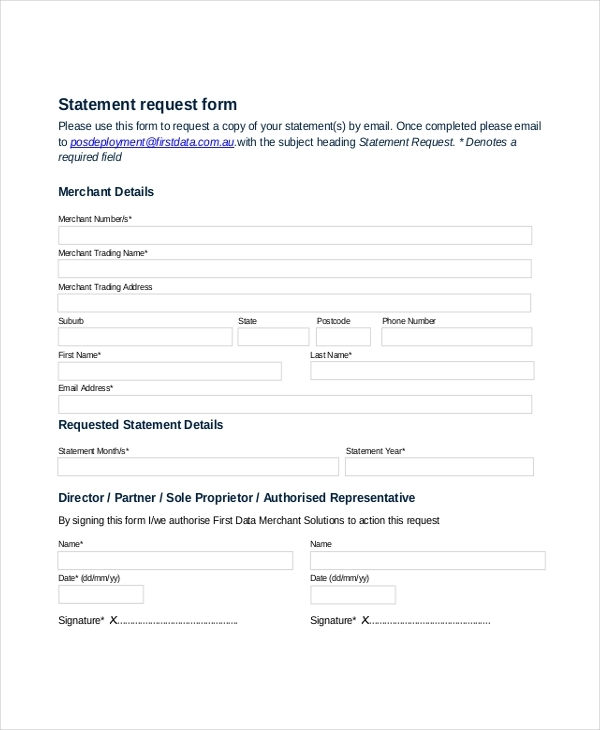 Here is an example of a statement form to keep a track of potential clients for this solution provider. You can fill in the merchant details and wait for your call for the best-suited work. 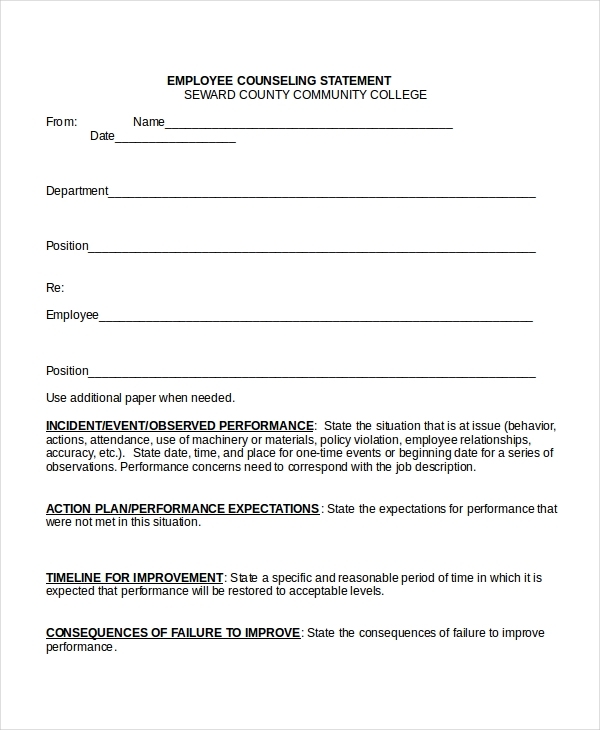 Here is another example of a statement form that can be used by seniors to review the work of their juniors that usually happens in every corporate organization. You can even have a form like this where all the details are already filled in and just the name and signature are required to make it a little more official. The use of statement forms is quite vast. It is not limited to certain members of the legal authority, but it is quite the contrary. It is for the masses to be able to declare their needed information that can be used for their own good later. Like mentioned before, it can be used by working class people, students, teachers, businessperson, property owners. And if you think about it, you can read and write, there is a very high chance that you might be filling out one of these forms one day, for sure. Here you must have seen the financial plan statement and other examples of statement forms. These forms don’t have a particular format to it except for the cause and the statement of the declaration itself, followed by the timestamp and signature. You can use the design for one of the above mentioned forms and create one for your own need.